As part of our Influencer Pitch Process research, 44 people at analyst pitches (on either side of the table) told us about times when the meetings went badly wrong. Seven mistakes came up time and time again. Indeed, everyone who commented mentioned at least one of these seven errors. Pitching in solutions that don’t relate to the analyst’s or customers’ interests. Using sales presentations or investor decks that give numbers and corporate fluff, but no emotion or customer proof. Bad timing, especially talking for too long about background to really deliver a coherent narrative or roadmap. Over-talking the potential upside for a solution or a market niche, both in terms of the pace and the scale of adoption. 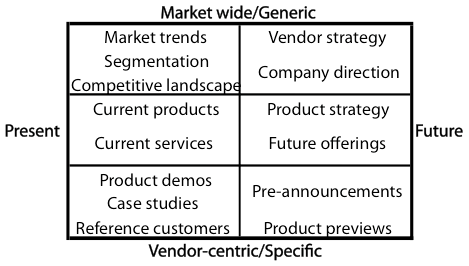 Trying to force a technology into a market segment where it does not best fit. Not seeming to be open to questions or negative feedback. Looking down on, or paying too little attention to, women analysts. If you need help preparing for a pitch to analysts or other influencers, our analyst relations and content review services can help. Next Next post: Analyst Relations – Nothing Start-ups Should Worry About. Or Should They?